you have to virtually kill it to get it to let go. ‘Don’t throw out that old plastic bottle,’ said a Cancer friend to me once. ‘It might come in useful sometime.’ This piece of advice is a paradigm (a miniature replica of a much larger reality) of Cancer. Whether it’s an old plastic bottle, an old lover, an old house, an old belief, an old bit of string, an old memory…Hang on to it, says Cancer. You never know when you might need it again. 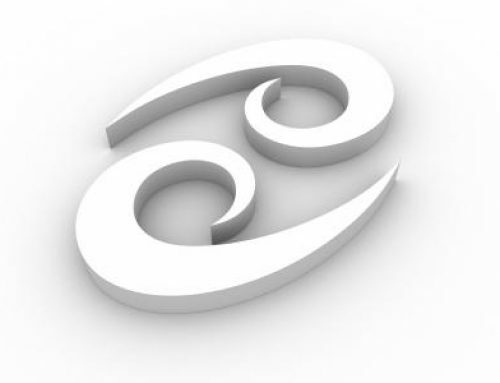 Not that Cancer is a particularly ‘practical’ sign in the way we have met practicality in the element of earth. Cancer is much too imaginative, too immersed in a world of dreams and longings and subtle currents of emotion, to treat everything in the literal terms of how much it’s worth. But one of the strongest urges in this watery sign is the urge for security. For what’s known and familiar, comforting and safe. It is an emotional motivation, not a practical one. I once knew a Cancer man who kept an old shoebox locked in a desk drawer. In it was the most bizarre assortment of objects gathered together that I have ever seen: old chewing-gum wrappers (thankfully the gum was missing), pieces of rope, old photographs, bits of lace, nuts and screws and used bent nails, fragments of magazine articles, a dried flower of unknown origin, and most difficult to believe, an old (and used) French letter. At this point, being familiar with astrology, I didn’t even bother to ask why. I knew the answer. Cancer is traditionally the sign of the family. This doesn’t necessarily mean that every Cancer wants, or should have, a family in the conventional sense. Lots of Cancers, contrary to popular conception, are not domestic. They needn’t have ties of blood. But the feeling of continuity with the past is terribly important to Cancer. The past is often more real to Cancer than the present, because it’s known and therefore safe. Cancer’s roots sink deep into the earth. Where there is a past, there could be a secure future. With his roots firm in the ground, Cancer can indulge in his love of exploration, his wandering instinct, his changeability. A Cancer who is cut off from his roots is a very sorry creature – until he learns to grow new roots, either a new family or a group of friends or a work project. Something. 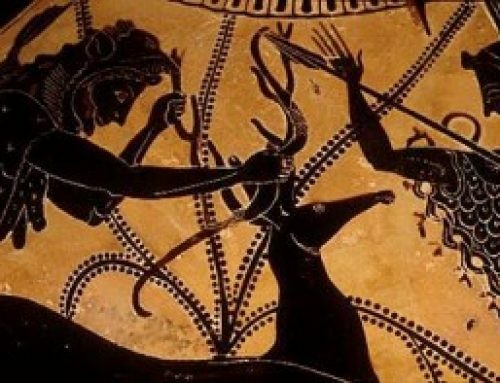 Without these things, the Crab withdraws ever more tightly into his shell until he is imprisoned by his own fear of the future and his terror of the unknown. The Crab is an instructive animal to watch if you want to learn about Cancer. Firstly, it never moves directly towards something it wants. It always circumambulates, to make it look as though it is actually heading off into a completely different direction. ‘What me? Interested in that? Don’t be silly. It’s the last thing on my mind.’ But when it grabs for the prize, and those pincers close, you have to virtually kill it to get it to let go. It won’t fight; crabs are non-aggressive animals. It will take pummeling, pushing, shoving, any treatment you care to give it. It simply hangs on, until you get tired and go away. Watch a Cancer woman at a party, when she spots a man she is attracted to. Move straight in and begin a conversation? Never. She will circle around the room, studiously ignoring the desired object. She will chat brightly to everyone within range. She will somehow contrive to join a group standing nearby. She might succeed in spilling her drink an inch from his trouser leg, and probably not even be aware of what she is doing, in any calculating way. 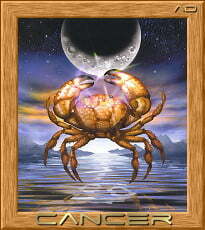 Cancer is an instinctive sign, doesn’t like to analyse its own motives. But take the initiative directly? Never. That exposes her to possible rejection, humiliation or looking ridiculous. If you really want to see a Cancer terrified, threaten him with those things: rejection, humiliation, loss of face. Cancer is so sensitive, so vulnerable to other people’s opinions of himself. That is, unless he absolutely trusts everyone present. Then anything might happen. It’s been said that Cancers are manipulative. This is absolutely true. But let’s explore this trait of manipulativeness. It has some rather complex sources. Cancer is a water sign. His great gift is his capacity to subtly work with feeling – his own and those of others. He doesn’t plan this out, as a strategy, the way an air sign would. He operates with a marvelous instinctual grace that adapts itself to the immediate situation. Rather than go after a goal aggressively and in the open – remember the fear of rejection and humiliation – he would rather work on the atmosphere and the feelings of other people, to orientate them toward his own objectives. Whatever one may think of President Jimmy Carter’s political or religious sympathies, one must concede that he is a good conciliator. He is a Cancer. This facility for working to smooth quarrels and bring people together is a wonderful gift when dealing with children. Cancer will never bully a child or use unjustified ‘heavy authority’. The ‘do it because I say so’ approach isn’t one of Cancer’s tools, as it is of Scorpio and Aries and Leo. Cancer gently guides, so that half the time you think the idea came from you. Subtlety is one of the chief qualities of Cancer. ADOLESCENT TO CANCER MOTHER: Well Mum, I’ve finally decided what I’m going to do next year. I’m going to travel abroad, go to Paris, and study languages at the Sorbonne. CANCER MOTHER: (after some silence, during which she digests (a) that her child is ‘leaving her’, (b) what she can do to stop him.) Paris? Yes, I suppose Paris is a lovely place. I’ve never been to Paris myself. I never had the time, or the money. (A sad, martyred look crosses her face. The suffering of the world is upon her.) That will be wonderful for you. I wish I could have gone to Paris when I was your age. But I had to bring up all you children, and work a job at the same time. And your father never made much money, and wouldn’t take me anywhere. I worked my fingers to the bone, supporting you children and taking care of the house. Then there was the war, and all that. I would have loved to go to Paris. CHILD: (beginning to feel vaguely guilty about being happy and having a future, although unsure just why) Well, when I’m settled over there, I’ll have you come for a visit. CANCER MOTHER: Visit Paris? Oh no, I couldn’t. I have nothing to wear, and I’m so tired these days, keeping the house in order and washing and ironing the clothes. Of course, if you waited another year, Julie would be old enough to get a job. But of course you must go next year. Still, it would have been nice. But I’ll stay here and take care of your father. (Long sigh, recognizable as the Cancer Sigh.) It’ll be terribly lonely here. But I suppose life is all about sacrifice, isn’t it? If you really love, then you have to sacrifice. CHILD: (feeling even guiltier) Don’t you want me to go? CANCER MOTHER: (in great protest) Of course I do! How can you ask me that? I think it’s wonderful that you young people can have that freedom and the money to do what you like. It isn’t like when I was young and your parents came first. I suppose people are just more selfish these days. I was just thinking of those lonely evenings at home, you know the phone always rings for you these days, all my friends have moved out of town, and I never have time to see them, being so busy with the cleaning and shopping…. Needless to say, the end of this scenario is not a trip to Paris. Not next year, or even the year after that. If foiled yet again, this kind of Cancer will not hesitate to develop a bad heart, migraine headaches, or the old-time-honoured phrase, ‘Do you want to kill me?’ Once upon a time this was also known as the Jewish Mother Syndrome. Now perceptive people will have noticed that you don’t have to be either Jewish or a mother to play this game. Husbands play it, children play it, wives play it, boyfriends and girlfriends play it, even employers play it. When Cancers are threatened with isolation of the loss of loved ones – through independence, distance, or any other means – they will often resort to the martyr. Not a pretty device. The thing is, Cancer does not need to be needed. And to love and nurture and cherish. And to apply the role of Mother, in some shape or form. (This means Cancer men as well.) The important thing is to find the Child on levels other than the purely biological one. 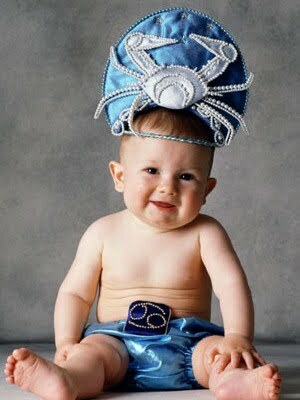 Once the children have grown, Cancer needs other outlets, preferably creative ones. The sensitivity, the gentleness, the delicate touch of this deep and subtle sign can be as usefully and productively placed on a project, a business, a home, a work of art, a piece of poetry, an animal, a garden. If it is all poured wholly into the beloved person, it is pretty natural for that person to either rebel or to turn inward in seething resentment, without fully understanding why. 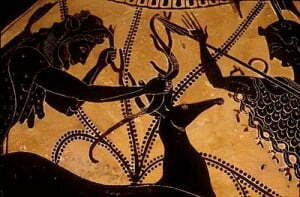 Cancer pays a tragic price for his emotional blackmail: the enmity of a loved one, in the end. We should observe two more things about the crab, to complete our initial portrait of Cancer. The crab develops in a cyclical way. This is true too of Cancer people. I once had a pair of hermit crabs as pets. These creatures are practically fascinating because, rather than having hard shells of their own, they wear the shells of dead mollusks, and camouflage them. There is a kind of Cancer whose shell is culled from others, as well as a kind who grows his own. Now when a hermit crab outgrows his shell – which he inevitably does – he must find a bigger one, and make the move in total safety. Underneath the shell, the crab is a defenceless, completely vulnerable creature. There is a period of time when crabs must hide in the sand while the new shell grows hard. They have to remain hidden, or they will be instant dinner for the nearest seagull without so much as a by-your-leave. 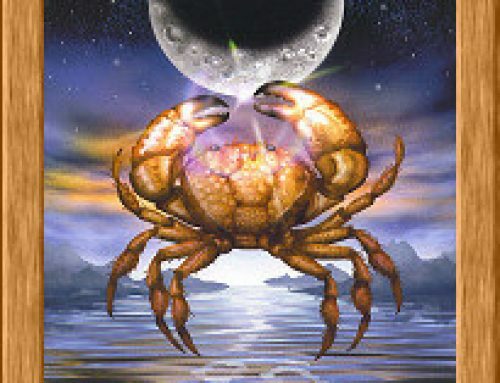 Cancer people too have these cycles, where they must withdraw after a change and a period of new growth. Surprise them or intrude upon them when they are going through their quiet private time, and you can damage them irrevocably. Damage them in childhood, and they will retreat into a too-small shell, sometimes never to emerge. It takes a long time for the Crab to forget, once he has been wounded. Finally – and perhaps most importantly, since it leads into our discussion of Cancer myth – is the Crab’s natural environment. 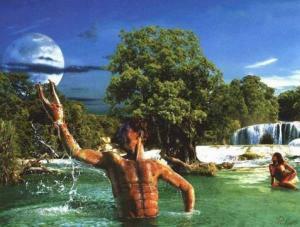 He is neither a creature of water, nor of land; he inhabits the border between the two. Let’s translate this into human terms. On one side is the dry land of the real world – bills, real estate, responsibilities, commitments, facts. That’s one of Cancer’s needs. The other is the fathomless depths of the ocean of his imagination. Cancer belongs to both worlds. He must have time to give to each – time to nurture his secret dreams and longings in the shifting waters of his deep inner nature, and time to build a place of shelter and security in the world. A complex sign, Cancer. And a complex personality. It is almost impossible to get a Cancer to analyse himself, or to trot out his deepest secrets. 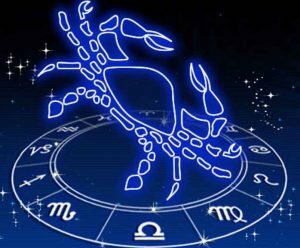 Popular astrology usually considers Scorpio to be the most secretive of the signs. But Scorpio is secretive on purpose. He knows his safety lies in smokescreens. Cancer is secretive by second nature. He is full of half-germinated seeds that need the darkness and the safety of quiet and privacy. His retreat is natural, not thought out. It must be respected. The creative fruit he brings forth is worth waiting for.